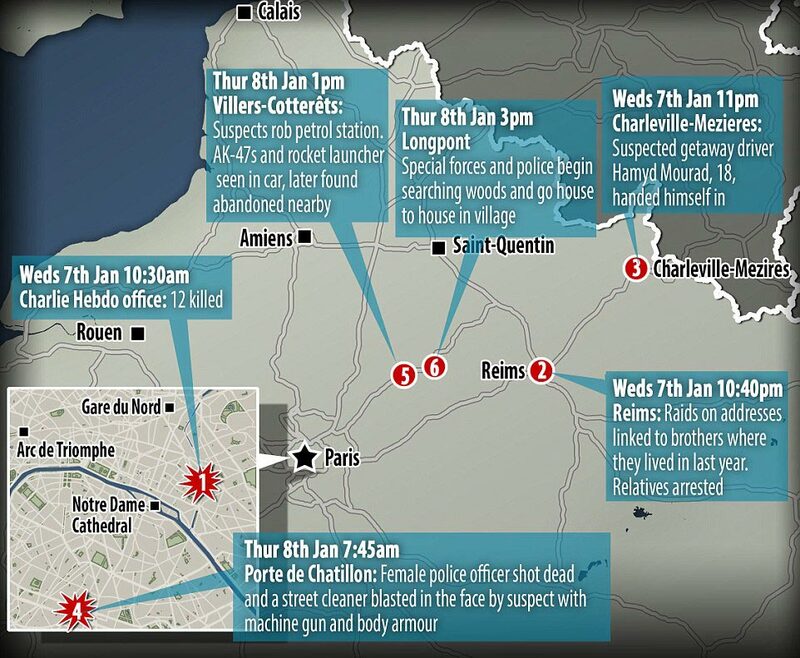 Home Scandal and Gossip Amedy Coulibaly dead along with 4 Paris grocery hostages. What motivated him? What motivated Amedy Coulibaly to act in concert with the Charlie Hebdo assailants? 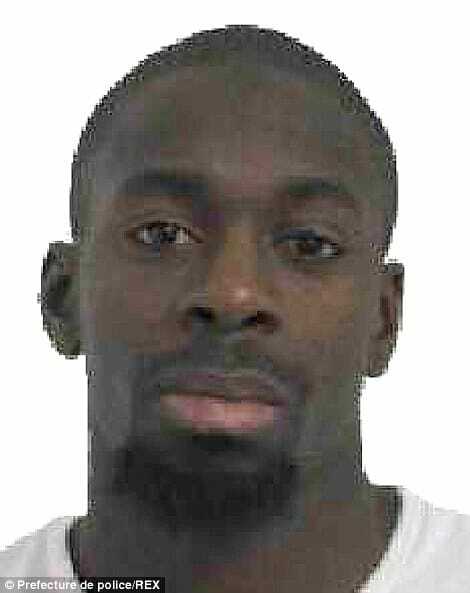 French authorities have confirmed that terrorist assailant Amedy Coulibaly, 32, now linked to yesterday’s death of municipal police officer Clarissa Jean-Philippe has been killed along with the killing of four hostages and injuring of four others caught in the cross hairs at a kosher supermarket in Paris. 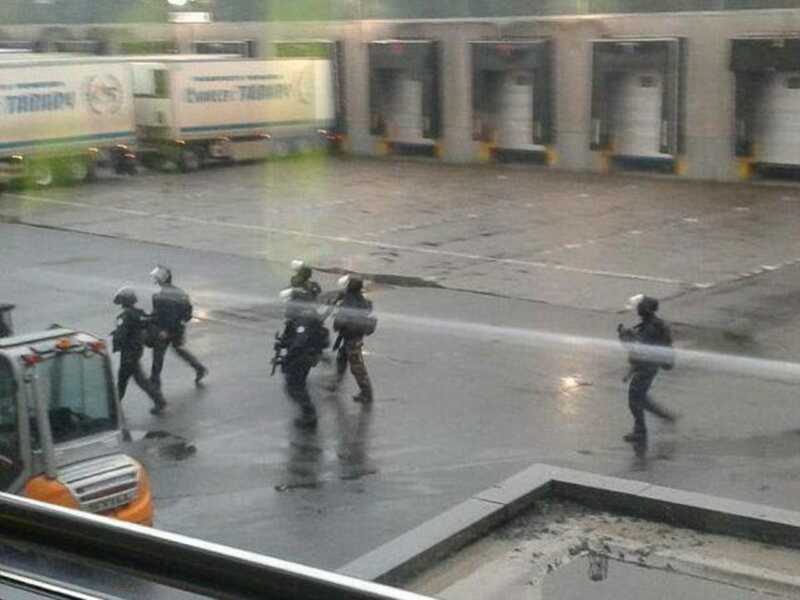 The siege which had been live broadcasted had played out whilst another siege similarly took place at a printing plant on the city’s outskirts involving the original Charlie Hebdo gunmen and brothers, Said Kouachi and Cherif Kouachi. The brothers had been identified as the Islamic gunmen who had taken out a total of 10 staff and two police attache, including Ahmed Merabet earlier this week, thought to be motivated with outrage at the journal’s unrelenting depiction of the prophet Mohammed. Authorities would tell that the siege involving Coulibaly had taken place in concert with the Kouachi brothers’ siege at Dammartin-en-Goele as Coulibaly had demanded authorities relinquish their operation against the brothers or he would kill the hostages he had taken captive at the grocery market. 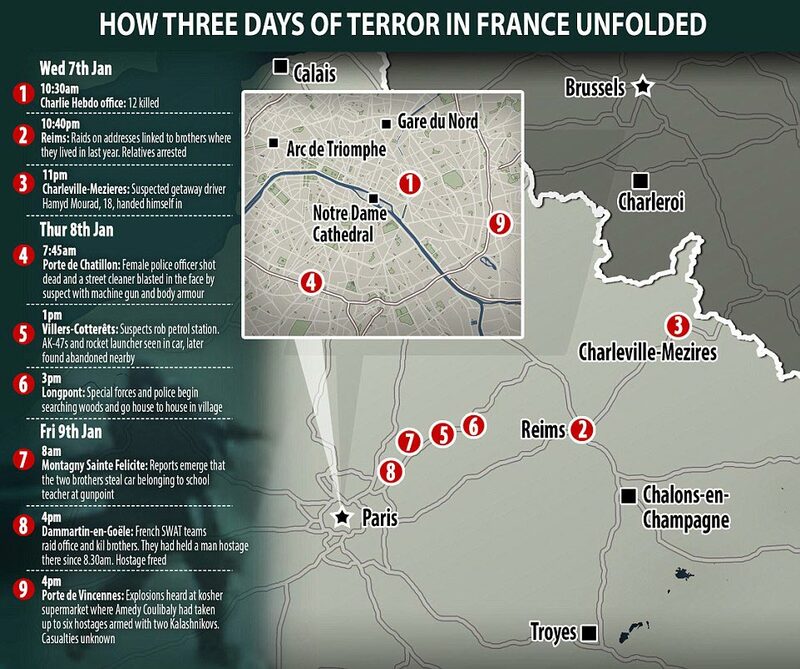 During that siege four hostages would come to be killed prior to a police assault. 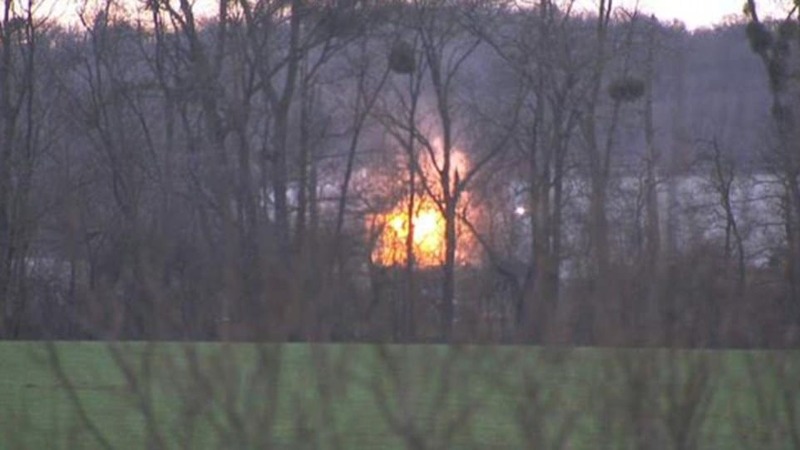 Another four hostages would be seriously injured, whilst 15 would escape alive. 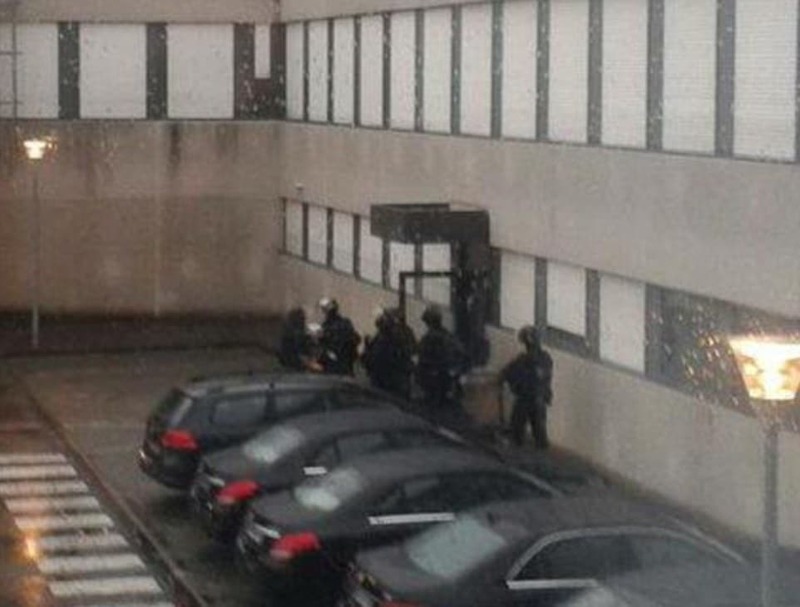 The siege involving the Kouachi brothers on the outskirts of Paris at a printing plant would come after a three day manhunt after being cornered by authorities. Remonstrated to give up their arms and a hostage they had taken, the brothers in turn cried that they would rather go down as ‘martyrs‘ to their cause. After a display of grenades and machine gunfire over the course of nine hours, the brothers would be declared dead as they attempted a final bust out. Surviving the onslaught was hostage, Michel Catalano. 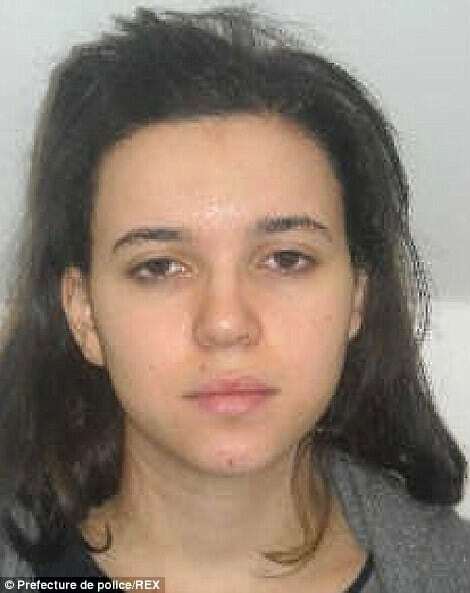 Wanted now is Amedy Coulibaly’s girlfriend, Hayat Boumeddienne who authorities believe was present during the gunning of municipal police officer Clarissa Jean-Philippe at Paris’ Mountrouge district earlier the previous day at 8 am after a traffic accident at the hands of Amedy Coulibaly. 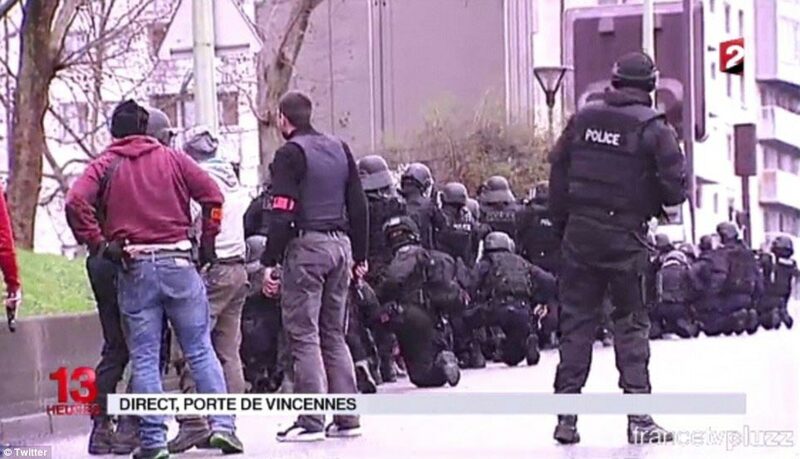 A Paris prosecutor would later reveal that Coulibaly, his girlfriend and the Kouachi brothers had spoken on the phone more than 500 times during their synchronized sieges. In the wake of the sieges, French journal Le JDD reports that Amedy Coulibaly had been sentenced to five years in prison in 2013 for his involvement in the escape from prison of the Islamist project Ait Ali Belkacem, former member of the Algerian GIA (GIA) sentenced to life imprisonment for the attack on the Train Museum of Orsay in 1995. Friday’s twin missions would come off the back of a three-day manhunt for the Kouachi brothers following the deadliest terrorist attack in Europe in almost a decade. 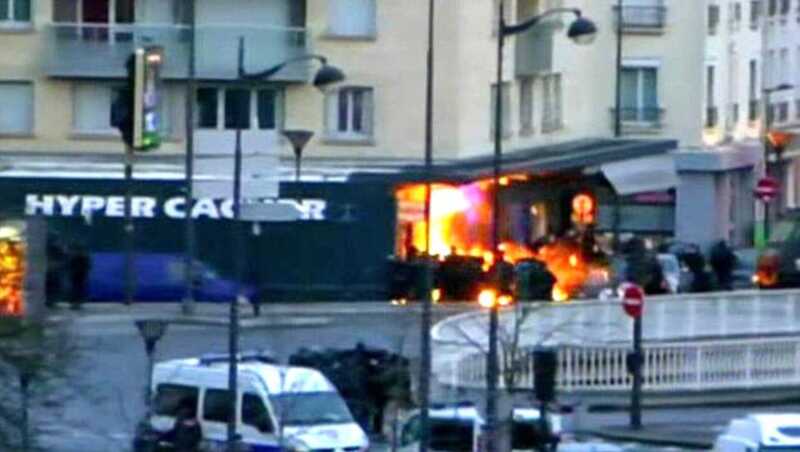 The siege at a kosher grocery store as it had played out where Amedy Coulibaly had taken on 6 or more hostages. Special forces would be rounded up in order to secure Amedy Coulibaly hostages. Special forces kept vigilance against Amedy Coulibaly before eventually rushing in to take him out. 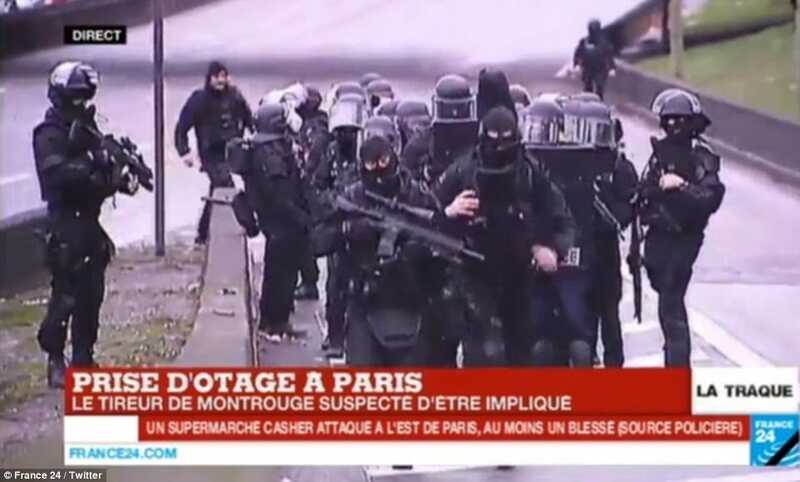 Meanwhile authorities were involved in a second siege with the Kouachi brothers on the outskirts of Paris which had been synchronized with the siege at the kosher grocery store.